You already know that proper oral hygiene is vital to the health and appearance of your teeth. But, did you know that oral hygiene is also important to your overall health? The health of your gums is directly linked to influencing your health as a whole. If you do not maintain your oral health, you are at risk for developing serious and potentially deadly overall health complications. As your dentist in Long Island City, LIC Dental Associates wants you to maintain optimal oral and overall health with the right oral habits. What’s the Link Between Oral and Overall Health? Your oral health directly impacts your overall health due to the bacteria found in gum disease. When you do not have healthy oral habits, such as brushing, flossing, and visiting your dentist regularly, periodontal disease will likely develop. Periodontal disease, better known as gum disease, is a bacterial infection that occurs in gum tissue. When treated early on, the infection is reversible without causing any long-term damage to oral and overall health. While over half of adult Americans have a form of gum disease, most are not aware they have the infection. As a result, the infection goes untreated. As the condition advances in severity, the bacteria will cause significant damage to oral health. Not to mention, the bacteria found in gum disease will enter the bloodstream, circulating throughout the body. As this occurs, serious and even deadly health complications develop. How Is My Health Impacted by Gum Disease? As the bacteria from gum disease enters the bloodstream, it begins to cause inflammation in the arteries and the heart. This makes the heart work harder, causing added strain. Over time, the inflammation and stress will lead to heart disease, increasing your risk for heart attack and stroke. Those with gum disease also tend to have more respiratory infections due to the bacteria. It is not uncommon to develop reoccurring respiratory infections and pneumonia. Not to mention, diabetics have an increasingly difficult time with gum disease. Diabetes hinders the body’s ability to heal and fight infections. As a result, diabetics are more prone to gum disease. Once the infection is present, periodontal therapy is not as effective due to the medical condition. In addition, the infection will make diabetes harder to control. New evidence also shows that gum disease may also cause Alzheimer’s disease and dementia. After the bacteria is in the blood, it will travel to the brain, causing swelling in the brain. 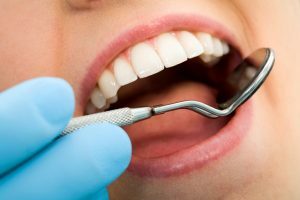 While there is a clear connection between gum disease and Alzheimer’s disease, further research needs conducted to determine how exactly they relate to one another. Preliminary research also shows a connection between gum disease and pregnant women. Pregnant women who have the infection tend to have premature deliveries while also having babies with low birth weights. Additional studies need conducted to determine the extent gum disease plays in pregnancy. How Can I Protect My Overall Health? To protect your overall health, maintain your oral health with good home oral hygiene habits and regular visits to your dentist. If you need preventive care or periodontal therapy, contact our office to schedule an appointment.